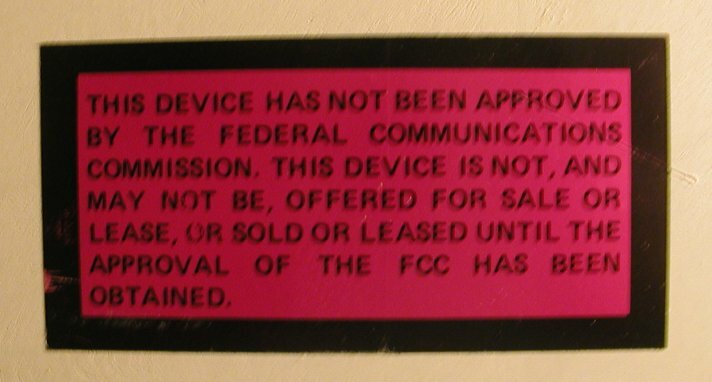 TRS 80 Model 4 "engineering sample" submitted for FCC approval. 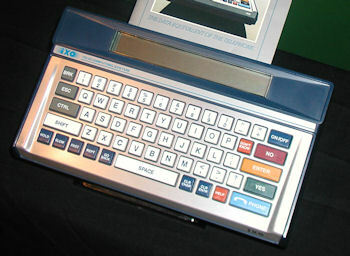 Unit contains a number of non-standard components and a non-standard keyboard. 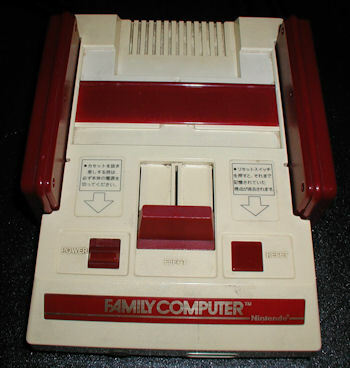 The Nintendo Family Computer "FamiCom" console game system. 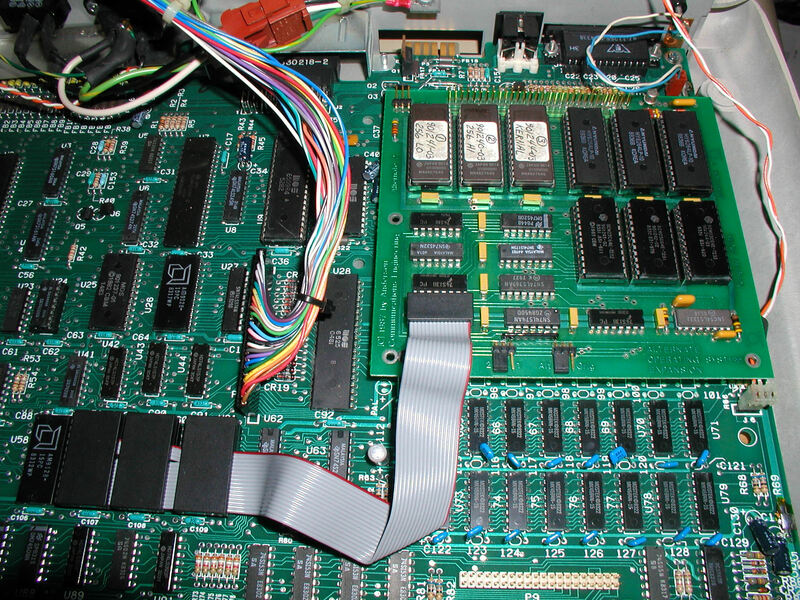 Close up view of the correct wiring for an SWTPc MP-S serial card set for RS232 communications. Click image for larger view. 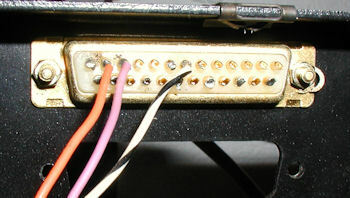 Note Molex pins 2 and 3 are jumpered together, and so are pins 7 and 10. 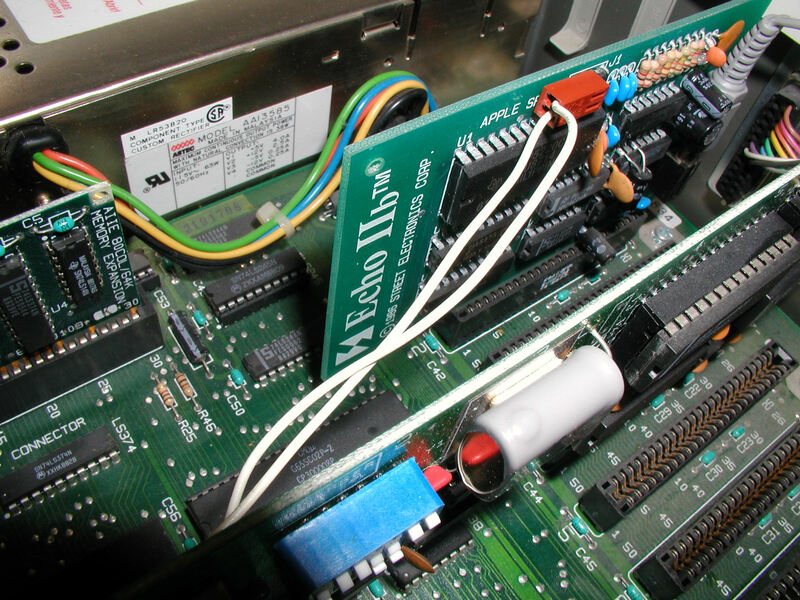 The bottom of pin 4 has been snipped off to ensure correct insertion into the MP-S card. Wiring for pins 1,5,6 is mapped below. Note also the colors of the wires. Closeup of the wires coming from the MP-S connector to an RS232 jack. Click image for larger view. 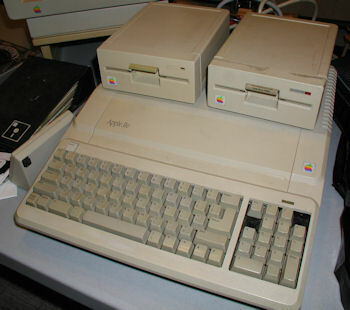 In 1987 the Apple IIe was revised. This system works but has some broken keys on the numeric keypad. 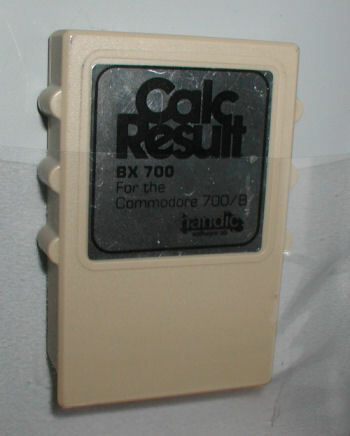 In 1983 the Sweedish company Handic produced software for the CBM BX700 called Calc Result (spreadsheet) and Word Result (word processor). 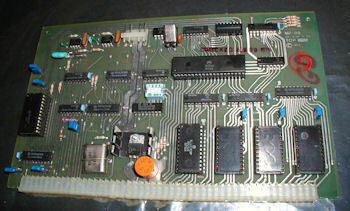 There were also versions of this software made for the C64 model. circa. 1955 GENIAC computer kit with accessories. Note that this box contains nearly two kits (two boards, two sets of discs, etc). Click for larger view. 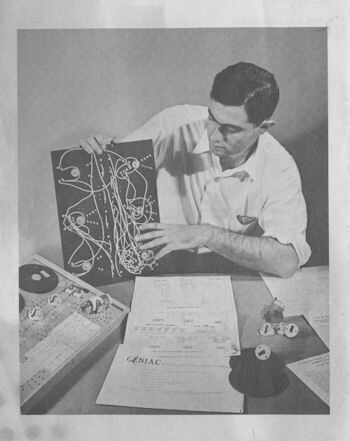 Back cover of Geniacs booklet. Click for larger view. 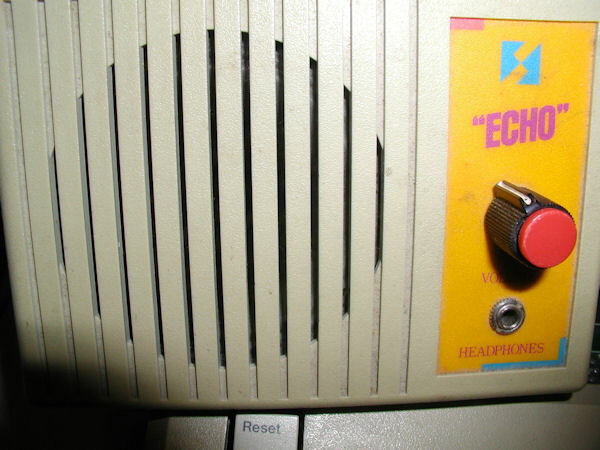 Note how program discs had different spacings. Click for larger view. Evan K working on an Osborne I portable computer. Also pictured is MARCH's PDP 11/20 (on its side). Click Image for larger view. The first MARCH event since Hurricane Sandy was an "open house" swap meet and workshop (the Vintage Computer Festival was cancelled). Most of us brought items to sale or trade, and we also brought projects to work on. Around 7:30 we all went out for dinner and then returned for more hacking. The event continued the next day but I had to leave around midnight. 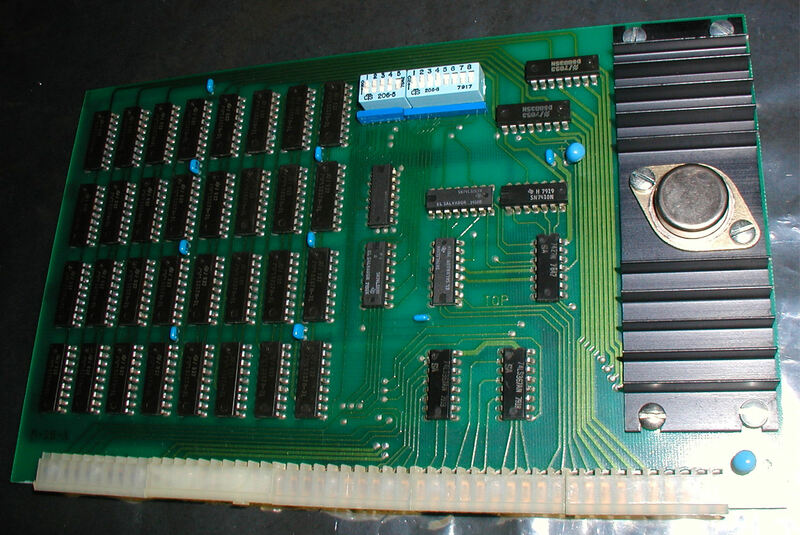 Started project to restore a non-functioning Commodore Kim-1 (Rev G). Working with a number of attendees at the Spring MARCH workshop we concluded that the 6502 socket was bad. 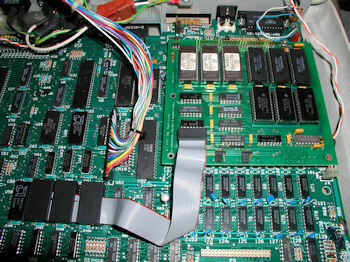 I also replaced the dual timer chip in U25. Took a few photos of a homebrew Intersil 6100 PDP 8 Homebrew computer built by William F. Dudley Jr. which he donated to MARCH.